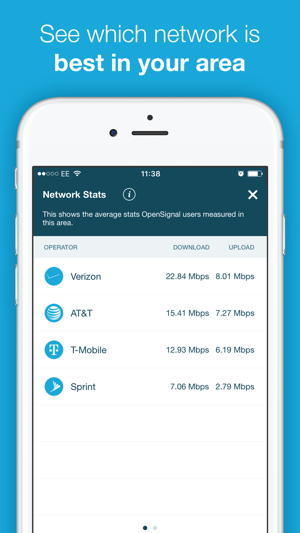 OpenSignal is the ultimate signal toolkit that shows you how to get a better network connection instantly, find nearby free Wifi hotspots worldwide, view signal maps so that you can compare performance of networks in your area and test the speed of your mobile or Wifi connection. 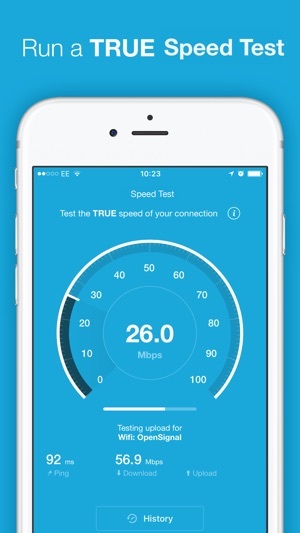 Unlike other apps, which look for maximum possible speed through optimised testing, OpenSignal informs you about your true speed - what you are likely to experience when normally using your phone. 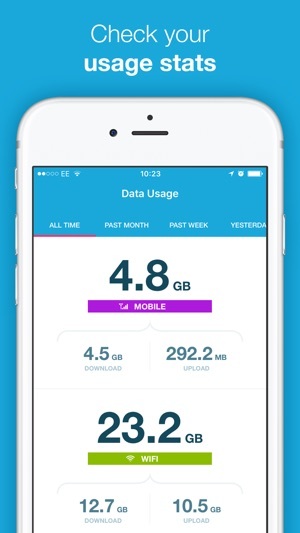 Anyone using the app contributes data, informing others about real-world, not estimated, mobile performance (and we'll never ask you for personal information, just your signal strength stats). Based on our community-generated data we are able to help keep you better connected by giving you a practical solution to the problems of slow mobile internet. 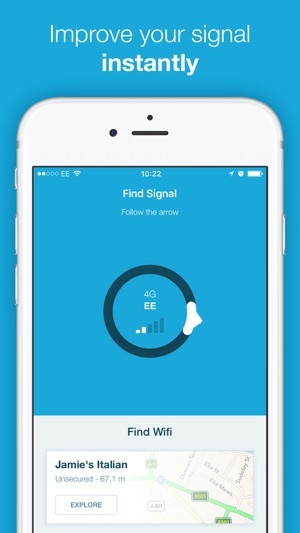 Simply follow our signal compass to walk towards better phone signal or see our in-app coverage maps to work out which carrier is best for where you are, useful if you're thinking about switching networks. 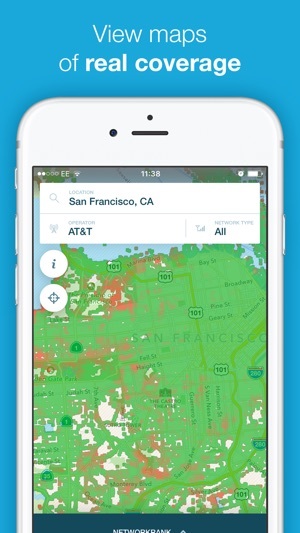 Our wifi maps help you find local public-access wireless networks (Wifi hotspots). Maps are not updated in real-time. Don’t worry though, we log the information you share with us to improve our coverage maps and performance information. We’re working hard to make sure the data you contribute to the project is available to everyone as quickly as possible. - Not all towers and wireless hotspots are in our database - we’re working on it! If you read to here (!) you should really join the OpenSignal beta to help us improve the app, just email hi@opensignal.com if you're interested. We've added a dialog for all users (new and existing), to make it clearer how we use your data and ask for your consent for this. Great app but needs some tuning. Been using this app for over a year now and it seems to really gives you the best average speed test rather than maximum speed. I have Ookla SpeedTest and I use it to compare the differences of its performance and Ookla (and other speed test app) does only give you what your cell signal/Wi-Fi maximum speed is and Open Signal gives you the real speed that you’re always averaging. This app would be perfect if the developer can make it for you to delete your old test records (you can but it comes back after resetting the app) and needs to add location to where you test your signal and Wi-Fi so you can keep track of where you had already test the signal. There seems to be a problem with the find cellular signal. I’m standing right next to my cellular sever (T-Mobile) and it’s pointing away from it?. Other then that this is a great speed test app. 3 stars for now. Why is my phone reporting WiFi results instead of cellular? My issue with the app is that I then turned on wireless router along with the cell signal and expected this app to know that it should test my cell signal, since I want to hold T-Mobile accountable for the bad coverage in my supposed “4LTE” area. Instead, the app runs a test on my wireless router connection which of course is blazing fast. Much, much faster than my T-Mobile connection. But I am concerned that it will be reported as a T-Mobile cell result and artificially inflate their numbers. Also, even though I live in a populated urban area that was one of the first cities to get LTE, the map won’t populate on my area when I zoom in. It states it doesn’t have enough data for that level of zoom. But Open Signal has been around for years and if I go to their website, I can zoom in further. Why is this? I downloaded this app primarily because I wanted to be able to identify the location of cell towers and the carriers that they belong to. I recently changed cell carriers after 20+ years with the same one and trying to learn where my new carrier has true coverage and where they don’t. The “Find Signal” feature shows all towers as being my carrier’s towers even when I KNOW that I am roaming on another carrier. Also the arrow that you’re supposed to follow to locate the tower is not based on actual tower locations, it’s based on crowd-sourcing information which is no more accurate than my own anecdotal knowledge of the area. The speed test and data usage features are helpful but they aren’t what I downloaded the app for.